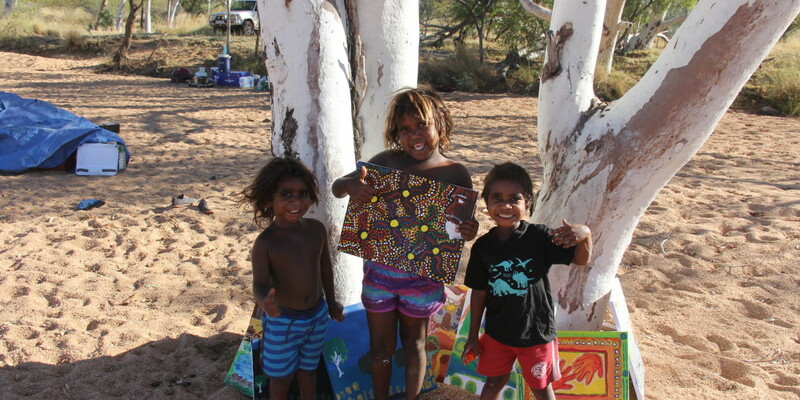 In May 2014 the Budadee Foundation was the recipient of an Indigenous Culture Support grant from the federal government enabling this project. 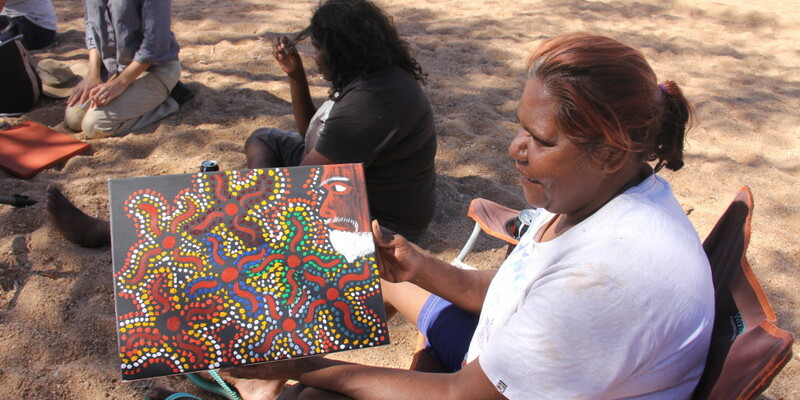 Conceptualised as something to preserve and celebrate cultural knowledge, as well as stimulate the transfer of knowledge to younger generations, the women of Irrungadji partook in a return-to-country trip and participated in painting workshops led by accomplished artist and elder Amy French. 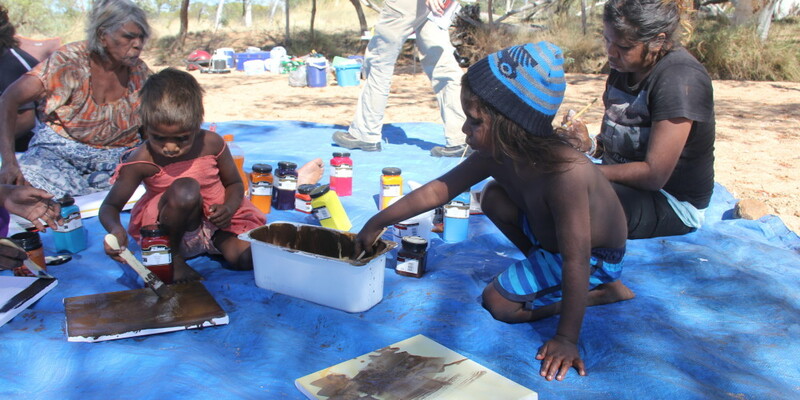 Facilitated by Terra Rosa Consulting, who delivered the art supplies after driving up from Perth, the aim was to fulfil the community’s request for an art space within the old community house. Following the on-country camping trip, this space was used to facilitate two days of art workshops, which would create a place for it to continue as a studio space following the project. Fortescue Metals Group donated furniture to help with this. 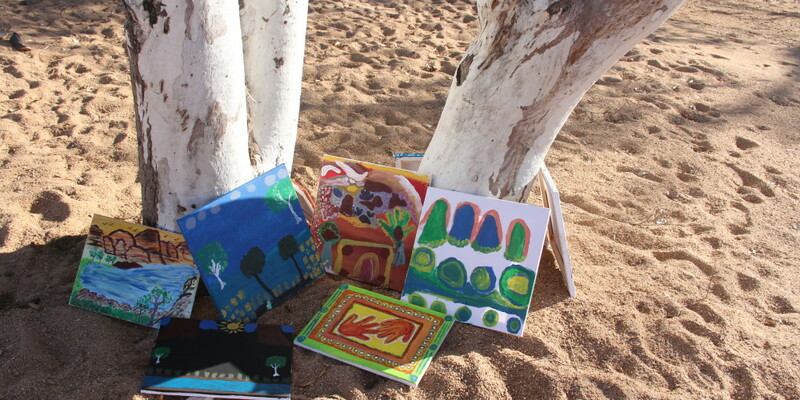 Annabelle Landy organised a group of six women and their children to go camping for two days, where the group painted artworks and told their stories. 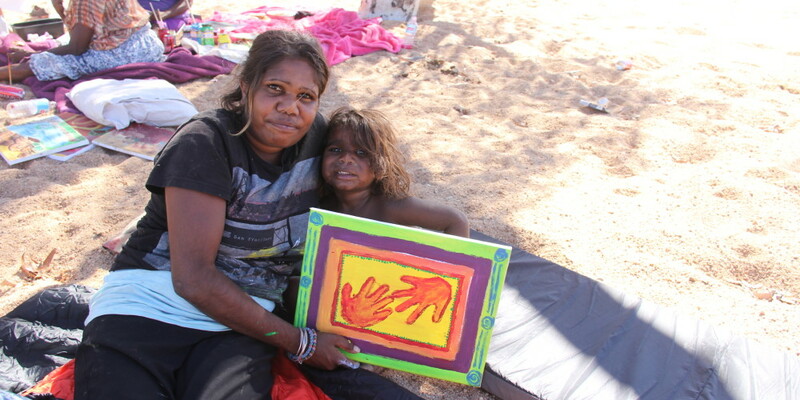 Around 35 people from the community participated in the workshops following the camping trip, and 30 pieces of artwork were completed and subsequently featured in the exhibition at Irrungadji in July 2014. Since the exhibition, the Budadee Foundation and Terra Rosa Consulting have been working with the community to achieve sustainable outcomes for long-term arts goals.